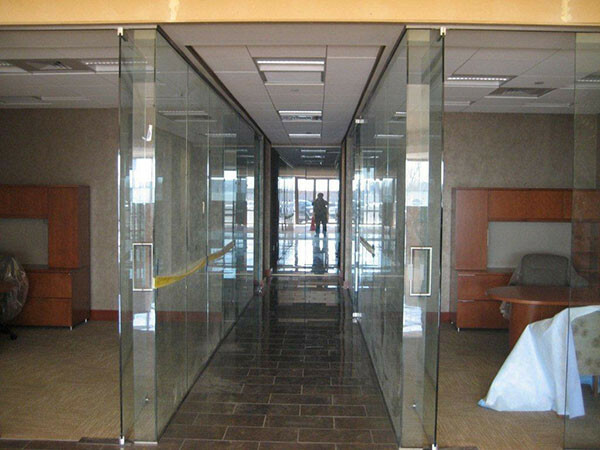 A Modern Glass and Mirror Company offers a large range of glass office partitions and glass wall partitions with innovative design features using carved glass, bent glass, cast glass and other unique designs that allow our clients to design an office environment to their most exacting specifications. 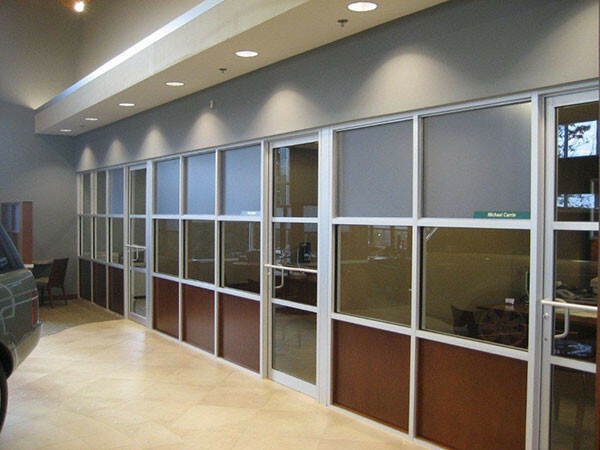 All doors shown can be shipped with custom etched glass or ordered with any of our decorative window films applied to enhance the appearance of the glass. 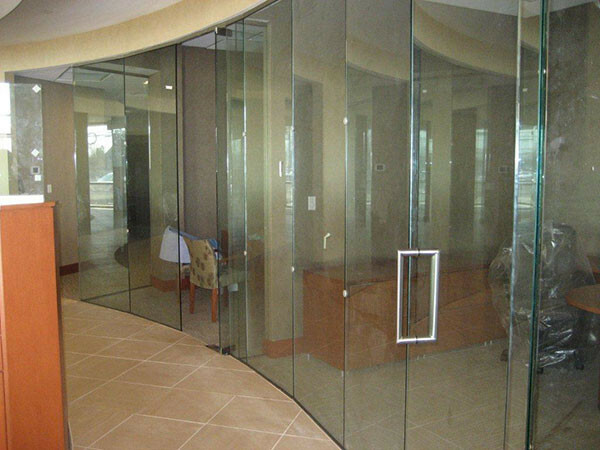 Glass etching or etched glass films also add to the privacy of the room without blocking out the light. 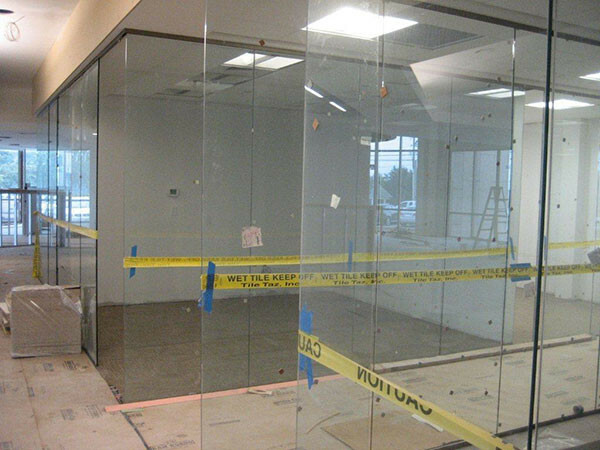 A Modern Glass and Mirror Company can provide tempered & laminated glass to meet all safety glass codes and ASTM standards. 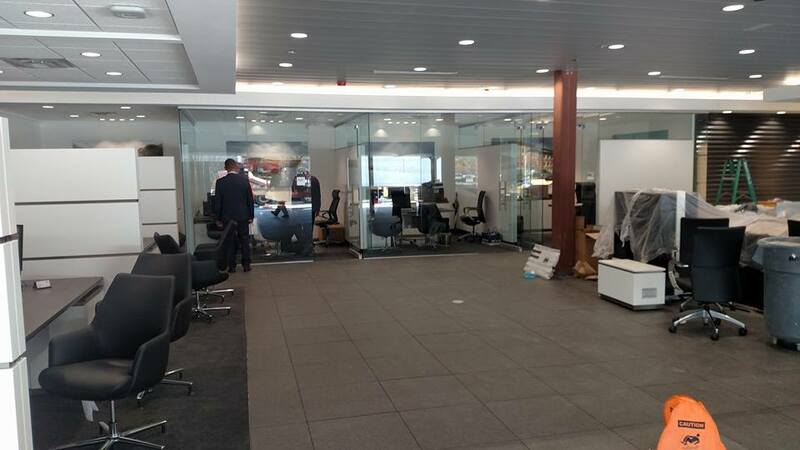 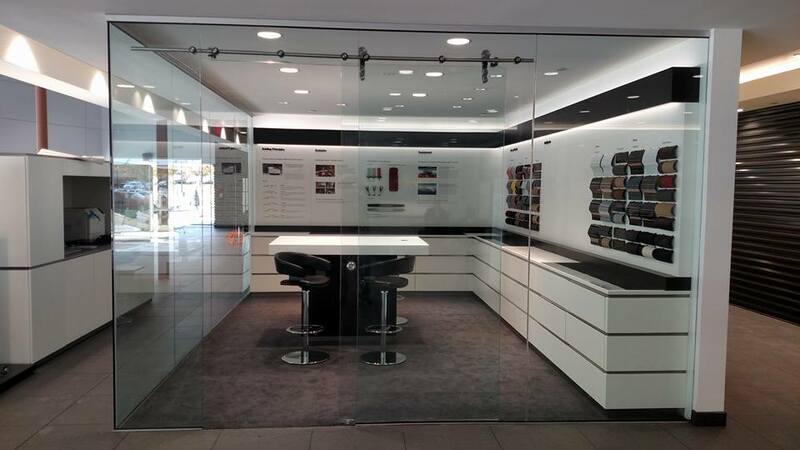 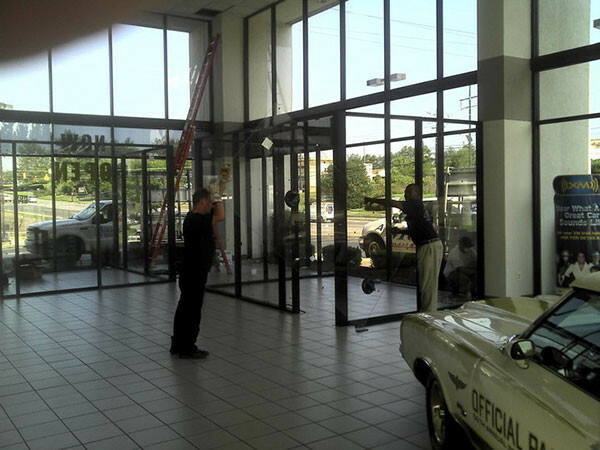 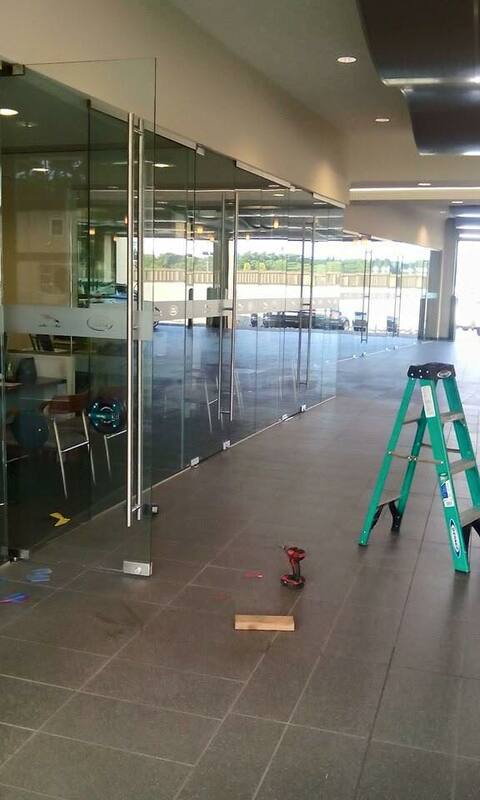 Whether it be new construction or building rehabilitation, A Modern Glass and Mirror Company provides high quality laminated glass curtain walls, entrances and storefronts. 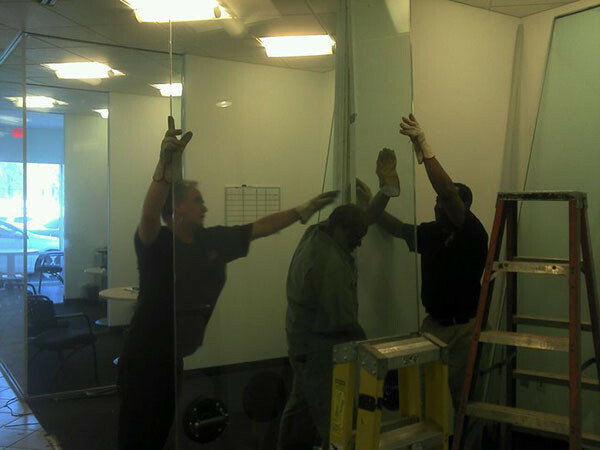 We also offer 24 hour emergency glass repair. 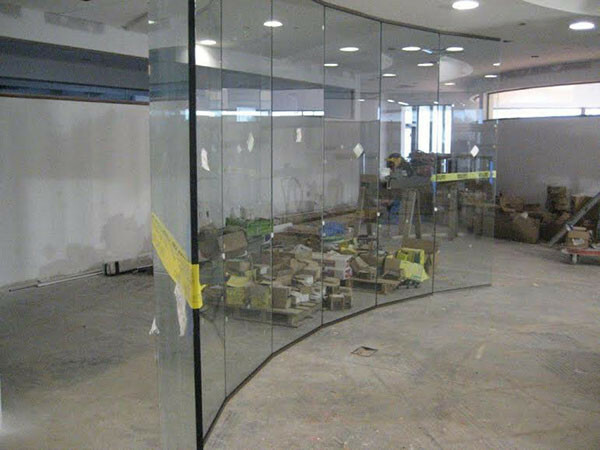 A Modern Glass and Mirror Company is capable of creating amazing effects with glass utilizing different colors, silk-screened designs, fabrics, “pearlescent” fillers and/or textured glass and sandblasting encapsulated inside. 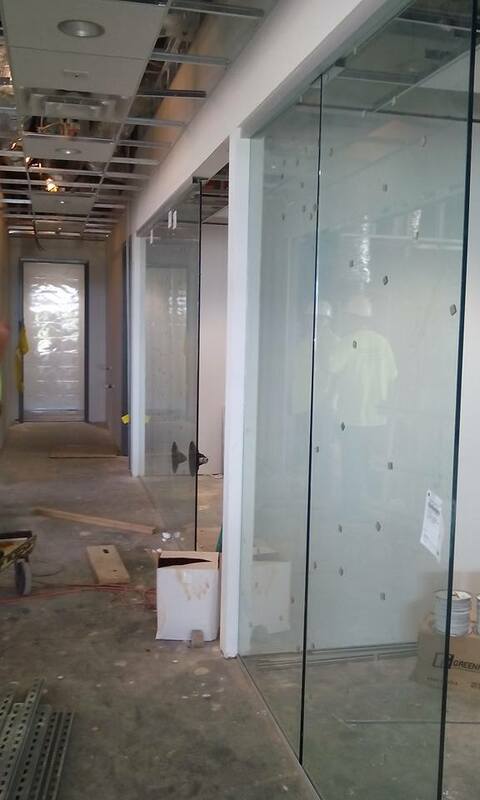 Therefore there is no chance of finger print damage to the design. 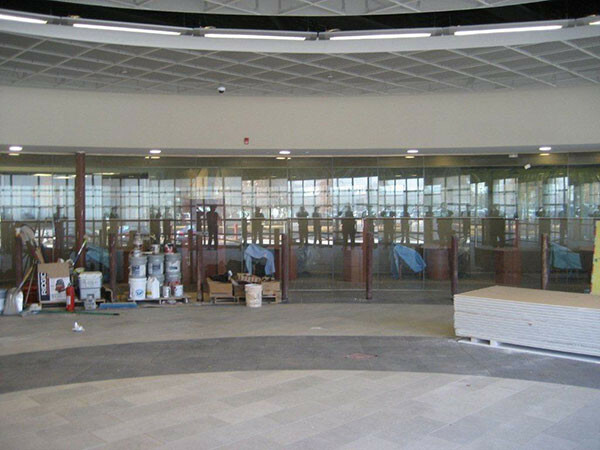 Another advantage to choosing laminated glass is it’s ability to block 99.9% of UV rays from being transmitted through the glass. 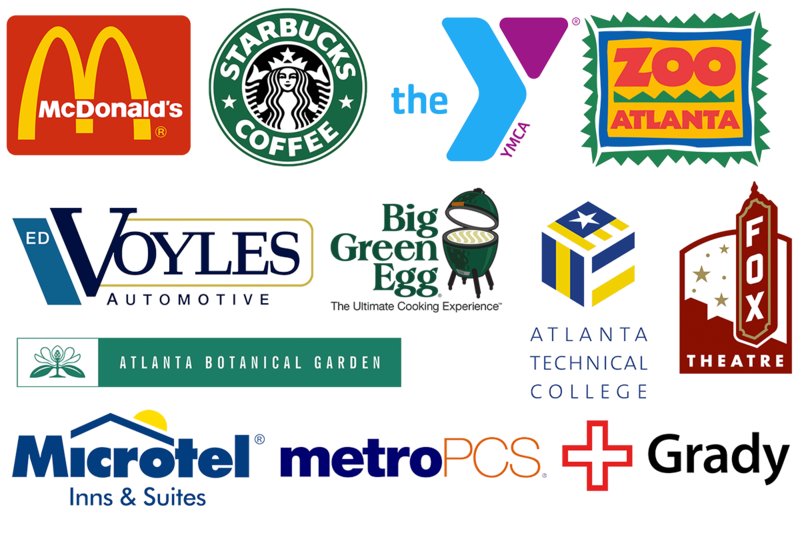 Please click on any of the thumbnails below to see a larger version.